+49 40 / 36 98 180 Pioneering. Efficient. Linked. +49 421 / 30 88 70 Pioneering. Efficient. Linked. +44 20 / 38 08 09 37 Pioneering. Efficient. Linked. +65 68 / 09 21 79 Pioneering. Efficient. Linked. The history of the company Pandi Services J. & K. Brons GmbH, formerly known as J. & K. Brons, goes back to the year 1865. The company was founded as branch office of the trading firm Y. & B. Brons. Johann and Karl – J. 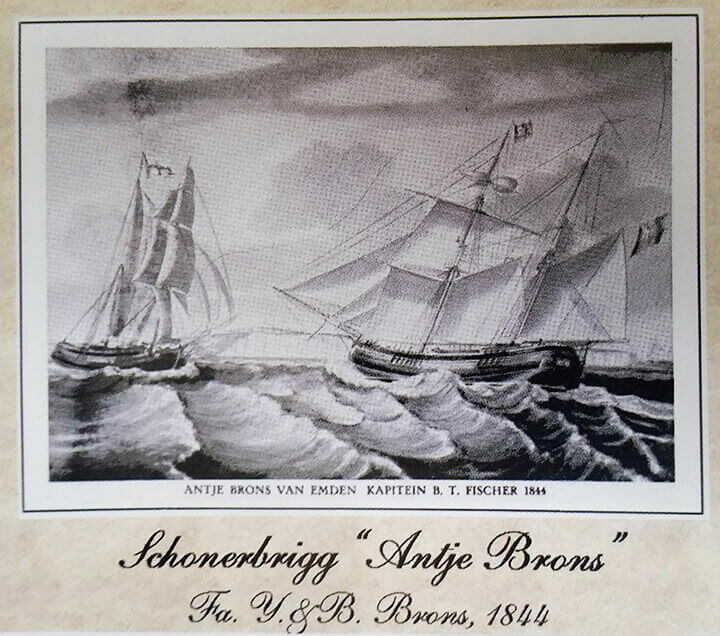 & K. – were sons of Ysaac Brons and his wife Antje. By the year 1902 the company had been appointed to act as P&I Correspondents for The Shipowners’ P&I Club. From 1952 to 2017 the company was owned by the Bremen based Kühl family. First managed by Heinz Kühl followed by his son Thomas Kühl. In June 2017 the company became part of the bMC group, which was founded in Hamburg by Captain Dennis Brand and Heiko Förster in 2014. PANDI SERVICES J. & K. BRONS HAMBURG is network partner of the TT Club. The TT Cub is the leading supplier of insurance cover for the international transport and logistics industry. American Steamship Owners Mutual Protection & Indemnity Association, Inc. Amlin (Raets Marine Insurance B.V.) Assuranceforeningen Skuld The Britannia Steam Ship Insurance Association Limited - Tindall Riley (Britannia) Ltd British Marine Carina China Shipowners Mutual Assurance Association The Charterers Club Gard P & I (Bermuda) Ltd. Hanseatic Underwriters Hydor AS ITIC The Japan Ship Owners' Mutual Protection & Indemnity Association K.I.S.H. P&I Club The London Steam-Ship Owners' Mutual Insurance Association Ltd Lodestar Navigators NNPC (Noord Nederlandsche P&I Club) The North of England P&I Association Limited The Shipowners’ Mutual Protection & Indemnity Association The Standard Steamship Owners’ Protection & Indemnity Association (Bermuda) Limited The Steamship Mutual Underwriting Association ( Bermuda) Limited The Swedish Club Tokio Marine & Nichido Fire Insurance Co., Ltd. TT Club Turk P&I United Kingdom Mutual Steam Ship Assurance Association Limited West of England Insurance Services (Luxembourg) S.A. The team of PANDI SERVICES consists of highly qualified Master Mariners, Lawyers and Shipping Specialists who gained their wide-spread experience in different fields of the international transport industry. brand MARINE CONSULTANTS (SG) Pte. Ltd.
brand MARINE CONSULTANTS (UK) Ltd.